No candy or chocolate in your kids’ Easter baskets?! Are you crazy?! Well, I’m sure we will slip in a few chocolates or treats into their Easter basket, but I love hearing about non-food ideas for Easter baskets. 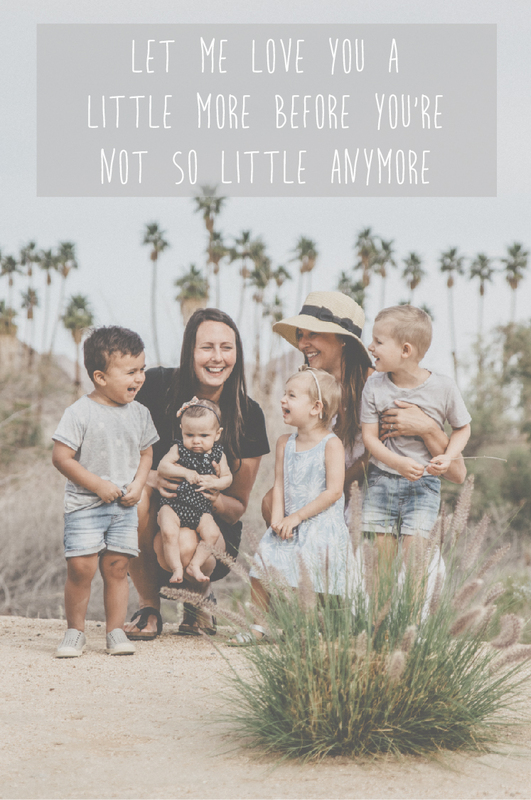 We do Easter Egg hunts (which involves candy/chocolate) and different family activities where our kids get a few candies and chocolate eggs so we really don’t feel like they need to get a ton more in their Easter basket. We wanted to give you a few different ideas of what you can give your kids instead of candy or chocolate this time of year! 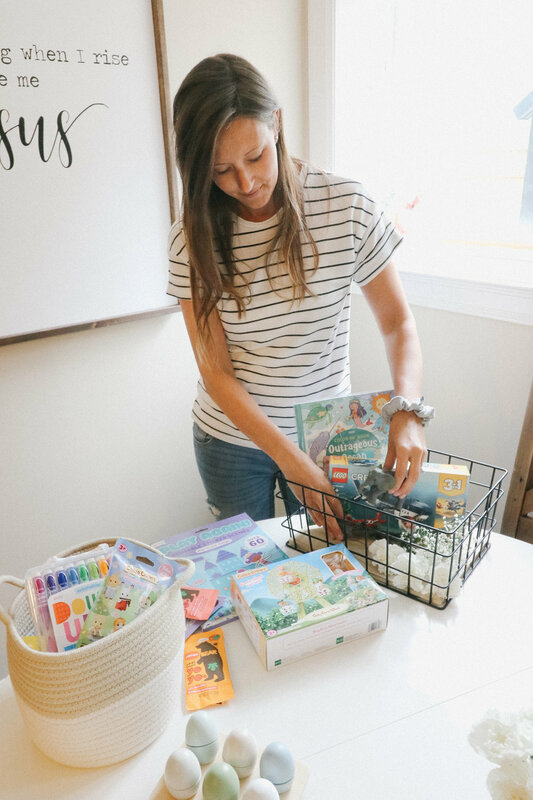 On Easter morning, it is a tradition in our house to leave a small Easter basket for our kiddos filled with a few treats and surprises and we are sharing our list this afternoon with you because we love and use all of these companies daily in our homes! 1) Lego has taken over our household by storm! Our kids are at an age where they can independently put together sets (Lego Junior or Duplo is perfect for younger ones). We love the Lego City Series and the Lego Creator 3-1 as you can purchase one set but can build three different sets using the same pieces. The Lego Construction Loader is perfect to slip into a basket for a child who loves vehicles! For Kinsley, the Lego Friends series has many different animal sets and Mia’s Foal Stable is perfect for her love of horses! 2) OOLY - Ok we haven’t found an arts and crafts company for kids that we love more. 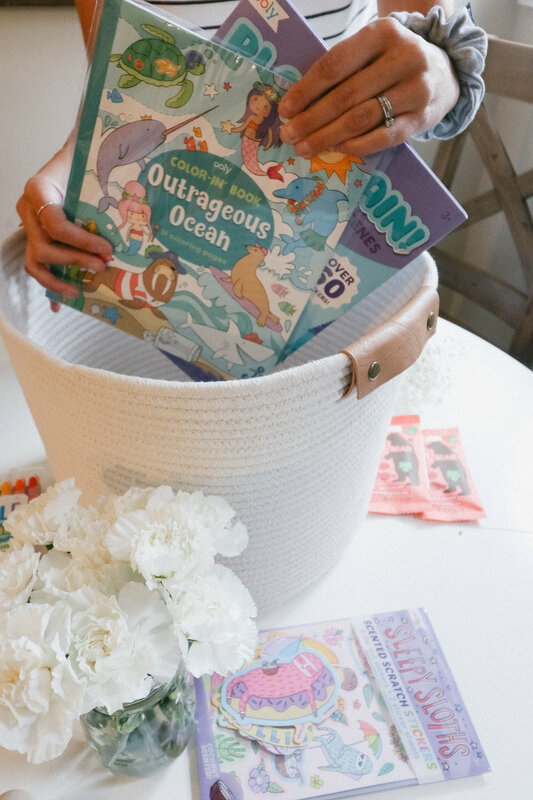 We have tried MANY products from OOLY and sincerely love each one and often find ourselves sitting next to our kids at the table and creating alongside them. We put in a colouring book, stickers, and mini markers into our kids’ baskets this year because you can just never have enough. 3) Terra by Battat have the most life-like animal families and there are so many to choose from - definitely something for every kid. Our kids love setting up scenes, watching nature movies, and telling animal stories so an animal family totally fits in our households. 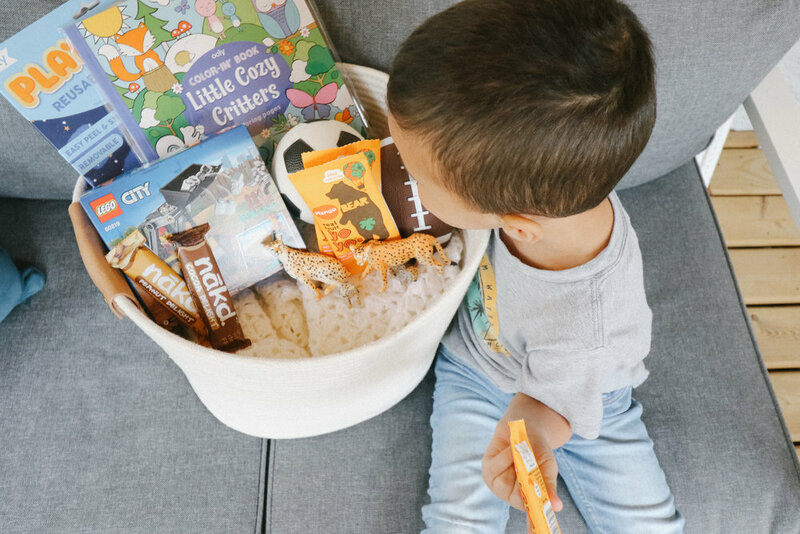 We love that you can pick a specific animal your child loves or find a small container of a mix of ocean or reptile creatures for an assortment. 4) Calico Critters, if you haven’t seen them before, are these adorable miniature woodland creatures that I secretly wish we had growing up. They have created so many different animal families and accessories and Kinsley especially loves setting up her Cozy Cottage with all of the furniture and families. This year, we are putting a couple blind bags in Kinsley and Ezri’s Easter basket. The blind bags are adorable because they are a surprise and inside is a baby creature playing a band instrument or a nursery baby. Just precious!! 5) Bear Nibbles - If you haven’t tried Bear Nibbles snacks you need to! My kids call them “fruit tape” which I love. Each Bear Nibbles pack comes with two fruit tapes rolled up and a learning card featuring a different country. Our kids love reading which animals are found in that country! Each Bear Nibbles Yo Yo (real snack name) is made with real fruit and no added “nonsense” as they like to call it!. They are delicious and considered a special snack in our home! The raspberry and mango flavours are our kids favourite. We hope these ideas inspired you to think outside the box when putting together a few Easter surprises for your children! All of these companies are brands we love and trust as they make products with families and children in mind.